I love food. I also love to snack! Who doesn't? When I was expecting Isaac I was so nauseous that looking at certain foods would sent my stomach on a roller coaster ride. This was the first time that I had ever experienced morning sickness and it certainly was a shock to me. Both of my other pregnancies were wonderful and I didn't have a hint of nausea. My love of food was diminished during that pregnancy and I actually came to dislike it alot. Now that I have had Isaac and he is a thriving 2 month old, I am trying to get back into eating "normal" foods again. The thing that drives me insane is not being able to eat spicy foods, pasta sauce, pizza sauce and other gas-producing foods. Isaac is a VERY gassy baby and it seems that no matter what I eat, it affects him terribly. Sometimes as a treat, I break the rules, eat something that is gassy and pay for it later by having a fussy baby. But somethings are so worth it...ha ha! Today I am going to introduce you to one of those "worth it" snack foods that I have recently tried. If you have ever tried Hawaiian Kettle Style Potato Chips then you know exactly what I mean when I say that they are one of the best snacks ever! I have had them before, and was informed that there is a brand new flavor that has been created for these chips and that this new flavor will heat up your summer get-togethers! Spice up your snack experience when you crunch into Hawaiian Kettle Style Chips with Mango Habanero. Seasoned with the fiery heat of habanero peppers and the sweetness of mangos, these chips will spark a fire in all your snacking occasions. Open a bag of Mango Habanero Hawaiian Kettle Style Potato Chips and imagine yourself on the Big Island at dusk, surrounded by the heat coming from the peak of Mount Kilauea. If you have ever tried Habanero peppers, then you know how hot they are. I have never tried them but my husband has. They were so hot, he could only eat a very tiny one and he can tolerate alot of spice! So, for this review I was sent several snack-size bags of Hawaiian Kettle Style Chips with Mango Habanero. The packaging is very colorful and eye-catching; however, the illustration is not to my liking at all due to the immodesty of the dancer. I was really excited about trying these because I know how much my hubby loves spicy foods and we are always looking for new snacks that he will love! So, I am breastfeeding my 2 month old and know that spicy foods will really give him major tummy aches. But, I was so excited about these chips I decided to try just a few. Upon opening the bag the first thing I noticed was that the chips did not smell spicy at all. I can usually detect spicy foods by their smell but these were totally deceiving. As I ate my first chip, it tasted sweet. Then, suddenly, I tasted the heat. WOW. These chips may not LOOK or SMELL spicy, but they throw quite a powerful punch! I was very surprised! After eating about three, I was done. I like spicy foods, but these were a bit too much for my taste. Currently, these Hawaiian Kettle Style Chips with Mango Habanero are available in 7.5 oz bags and can be purchased directly from the Hawaiian Snacks website. So, in my opinion...these Hawaiian Kettle Style Chips with Mango Habanero were very tasty! Although I am not a huge fan of really spicy foods, these were perfect for my husband. I can eat them, just not alot of them. I would definitely recommend these to anyone who loves spicy snacks and who is looking to "wow" their guests at the next family picnic. You will really impress them and perhaps introduce them to a whole new flavor of chips. Disclaimer: I received no monetary compensation for this post. I did receive free Hawaiian Kettle Style Chips for review purposes. All quotes and stock photos are from the Hawaiian Snacks website and email. Prize is being provided and shipped by the sponsor. All thoughts and opinions are 100% mine. It's all about Sweet Maui Onion. Those chips are AWESOME! Wasabi Kettle Style. That served with plenty of Primo beer. Primo is the favorite beer of Hawaiian surf riders. I like the Sweet Maui Onion. I would like to try the wasabi. I'd love to try the Hawaiian® Luau Barbeque Rings! I'd like to try the Hawaiian® Luau Barbeque Rings. I would like to try the Luau Barbeque Rings. I'd like to try the Sweet Maui Onion. I'd love to try the Sweet Maui Onion! Sweet Maui Onion Rings sound really good! Would love to try the Sweet Maui Onion!! Id like to try The Laua BBQ! The wasabi flavor sounds interesting! Luau Barbeque Rings sound like they're OMNOMNOM worthy! I would love the BBQ. I would try the luaua bbq. I would like to try the luau bbq rings. I'd like to try the sweet maui onion! 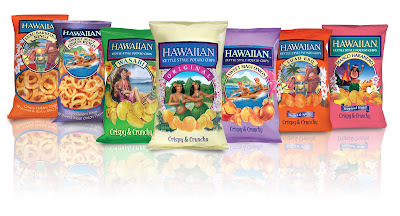 The Sweet Maui Onion is my chip of choice! The Hawaiian Wasabi Kettle Style Potato Chips! I would like to try the Sweet Maui Onion Rings.